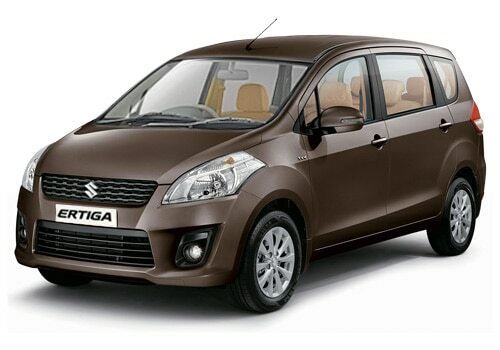 Last year Maruti Cars India launched the Ertiga, well priced compact MPV, they call it “LUV” life utility vehicle. When debuted last year, Maruti Ertiga gave direct competition to the best selling MPV Toyota Innova. In the recent advertisement the manufacturer claims that the car is the quickest in its class to cross the one lakh sale barrier. The vehicle is based on modified swift platform and gives you the feeling of driving a sedan rather than a MPV. 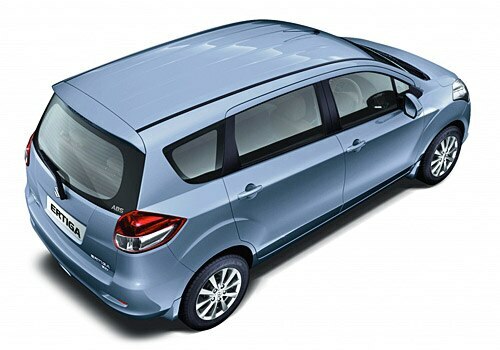 The Indian giant recently launched the CNG version of the Vehicle and named it Ertiga Green in our country and also the limited edition version feliz to celebrate the first anniversary of the compact MPV. Maruti Ertiga price starts at 6.31 lakh for the base petrol and top of the line diesel comes at 9.21 lakh in the capital region. The advertisement also states that test drive the MPV before 30th September and win an assured gift. Mechanically, the car comes in two engine option k series petrol and Fiat borrowed multi-jet diesel. The k series produces 95 Break horse power while the Multi-jet is equipped with variable geometry turbo charger, mustering 90 break horse power. Both the engines are superb in terms of performance and fuel-efficiency. ARAI certified mileage of 16.02 KMPL for gasoline and 20.77 KMPL for the oil burner. Both the engines are mated to a five speed manual transmission. Maruti Ertiga features are adequate the car offers five plus two seating options and roof mounted blower for the rear passengers. Swift borrowed dashboard looks luxurious in beige theme. On the safety front, the car is equipped with an anti- lock breaking system with electronic break force distribution. Two SRS air-bags are provided for the driver and the passengers. The car rides on 15’’ 185/65 cross section radials dressed upon ten spoke alloy wheels. The vehicle comes in seven different shades. There are a lot of utilitarian spaces provided in the automobile for the comfort of the passenger. The audio unit in the automobile is Nippon Kenwood factory fitted unit with single cd, USB, and tuner with six speakers for a powerful sound. What Maruti Ertiga pictures now, with the launch of Nissan Evalia and upcoming MPV’s in the market the Datsun GO+, Ashoka Leyland Stile and force motors Mercedes Viano based MPV. The vehicle still holds its presence in the market as the sale shows and the trust that has been established by the Indian auto-maker, will always help the LUV in sales.